Gorgeous 4 bedroom, 3.5 bath home now available in the desirable Glenwood Estates community. Spacious and open the home has great flow of living space. The kitchen boasts granite counters and stainless steel appliances, built in refrigerator, dining area and island. Home has new carpet and has been professionally painted inside and out. Spacious master bedroom has walk in closets and two more upstairs bedrooms share a Jack & Jill bath. There's also a downstairs en suite perfect for guests or family. The front yard is maintained by the HOA and the backyard backs up to a 150 acre preserve with access to the open space & trails. Glenwood Estates offers a sense of community for families. The neighborhood is in a top rated school district and just a short walk to Siltanen Community Park. 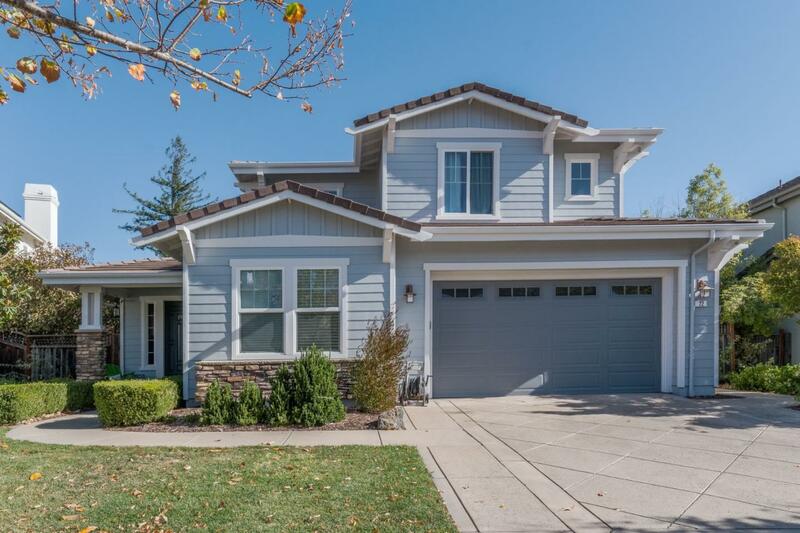 The home is in an excellent commute location, less than 1 mile from Highway 17, 14 miles to Los Gatos and 8 miles to Santa Cruz. Homes in this neighborhood don't come up often. It's a must see!